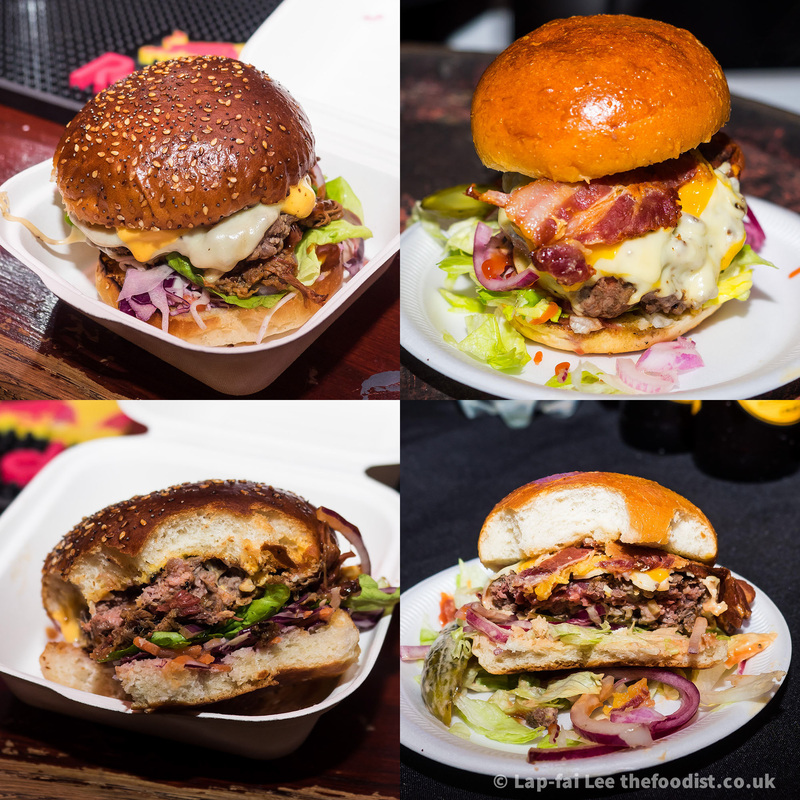 UK Burger Battle | The Foodist. It’s been coming, we’ve had competitive BBQ for a while now and individual rib and brisket events. Now it’s competitive burgers. Though we did have a burger round at Grillstock festival this year, that’s where I first met The Beefy Boys. Their burger beat ours (Backyard Brummies) into second place, depriving us of a chance to go to Las Vegas for the World Food Championship. How ‘World’ was it? Debatable, how global is the baseball World Series? Anyway The Beefy Boys did us proud by placing second overall in Las Vegas and actually winning a round. Must be great to take on the Americans at their own game and beating them! So when I heard from the organiser Ahmed Kage that they were competing at the inaugural UK Burger Battle I offered to take photos and finally get a chance to try the burger that had us bested. They were competing against local outfit The Flying Cows at the Spotlight bar in Digbeth. Home of the Brummie street food pioneers Digbeth Dining Club. It was really enjoyable, the two teams did brilliantly to churn out 350 burgers nonstop for about 5 hours. I’m sure neither of them have had to cope with such intense patty grilling. Ahmed has suggested that I should compete in the next one but I honestly don’t love cooking burgers that much! In the end The Beefy Boys won the public vote (and mine) by a scant 15 though The Flying Cows did have the consolation of winning the judges vote. The judges included two of Birmingham’s Michelin starred chefs Luke Tipping of Simpsons and Adam Stokes of Adams. There were DJs, magicians and acrobats – ok not acrobats but there was an eating challenge. Leo “Easyjet” Kattou of Simpsons ate 6 burgers in 30 mins for everybody’s entertainment and as it turns out horror. But above all, the event was a huge success and everyone who attended had a great time. Roll on the next one 15th February, keep your eyes peeled on the UK Burger Battle Facebook page and on Twitter. Here is the link to the full set of photos from the event.